item 2 DVDR Drive Part for Sony RDR-VX515 VCR DVD Combo Player Recorder. Excellent! 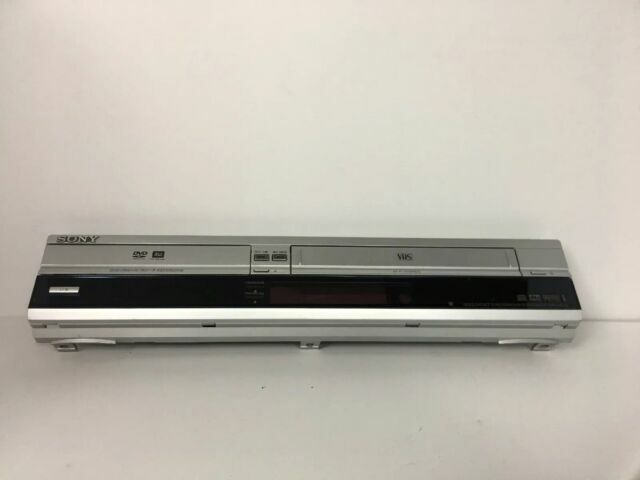 -DVDR Drive Part for Sony RDR-VX515 VCR DVD Combo Player Recorder. Excellent! item 3 VCR Drive Part for Sony RDR-VX515 VCR DVD Combo Player Recorder. Excellent! -VCR Drive Part for Sony RDR-VX515 VCR DVD Combo Player Recorder. Excellent! The unit combines the versatility of a traditional VCR and the high quality capabilities of a DVD recorder. Featuring one touch dubbing, which makes it easy to archive old home VHS tape footage to new DVDs, the unit also offers an i.LINK IEEE-1394 digital interface/Digital8 input, for simplified digital recording of home movie footage from a camcorder to a DVD. Sony RDR-VX515. Great VCR / DVD recorder. Excellent Machine for Video Transfers " see notes "
I have been using this since May when I received it as a Mother's Day gift from my children AND I can not make DVD's fast enough! I just love it AND it's very easy to use! I highly recommend it! I can easily hook it up to my VCR or my camcorder! Very pleased AND the family is very pleased to get copies of old Videos on DVD! I have been making them as gifts and having a ball with my Editing creations! This is a GREAT Christmas Gift for sure! When I read the item specifics, I expected a unit that was unused (even if not in OEM packing). This unit had the batteries installed in the remote and none of OEM wrapping on the items. Haven't installed yet, so I don't know if it works. "Condition: New: A brand-new, unused, unopened, undamaged item in its original packaging (where packaging is ... Read moreabout the condition"